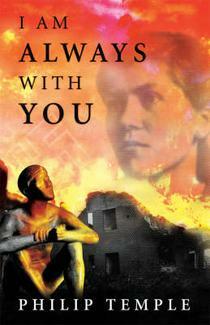 I Am Always With You, by Philip Temple (Random House, 2006), 447 pp., $36.99; Hand Me Down World, by Lloyd Jones (Penguin NZ, 2010), 313 pp., $40.00. The title of this review might very well have been ‘Two Men in Berlin’, since the writing of both novels was obviously closely connected to their authors’ stay in the city as guests of Creative New Zealand’s Berlin Writers Residency, respectively in 2003–04 and 2007–08. Yet if their choice of Berlin as the stage of action was almost inevitable, they must have decided on good reasons for placing women at the centre of their stories. Philip Temple’s sculptor Hermann Blumenthal in his last letter from the war in August 1942 to his wife Maria in Berlin reassuringly closes with ‘I am always with you’. These words gradually begin haunting his widow in her dreams and finally, in the postwar years, she begins to hallucinate her husband’s actual physical presence. Maria, only just forty years old, gentle, sensitive, once a budding writer and the mother of two very young boys, loses her grasp on reality and finally gives way. This is Temple’s first theme. Though Sarah Quigley in her Listener review of 2006 complained with good reason about Temple’s failure to merge the documentary and the fictional, it seems feasible to me to judge his achievement from a less literary-critical angle, especially because I belong to the author’s own age group. The psychological, economic and financial problems experienced by a young widow with children during and after the war years are not at all unfamiliar to me. The novel succeeds in narrating the fate of this small family, and in the unfolding process of Maria’s inability to bear her burden – in spite of the support extended to her by her husband’s artist colleagues and her women friends, and in spite of her sense of responsibility to her sons. In the end, the many losses she is made to suffer – of her husband, of her three siblings and of her mother, as well as of her childhood home, the deprivations of the war and postwar years in Berlin – combined with her resignation of never having the time and strength to fulfil her deepest wish to become a writer – prove too much. It is a fate Maria shared with so many of her female contemporaries. In the course of narrating her story, Temple moves away from the perspective of an observer, and instead lets an inner voice speak to the reader – and here I disagree with Quigley’s comment. On the contrary, interior monologue and stream of consciousness do not replace the narrator, but rather in Maria’s last years they relate more and more closely to the tone and content of her letters to a female friend and in this way almost take over her story. Temple’s second major concern is his wish to reconsider his own (and also that of many of his non-German readers) deeply ingrained conviction about the evil nature of all Germans lumped together, a view the author’s generation had adopted – and was made to adopt as the accepted wisdom – during and after World War II. Counterpointing Maria’s more or less fictionalised life story, Temple the historian retells the story of the group of artists to which Blumenthal belonged, the Ateliergemeinschaft Klosterstrasse, who worked and lived in Berlin between 1933 and 1945 — and whose story, unfortunately, is not at all well known in Germany. Wishing to reassess their views and convictions vis-à-vis the Nazi regime, and possibly their roles as the proverbial monkeys who did not see, hear or speak evil — and perhaps even their active collaboration in criminal deeds — Temple brings to the fore the problematic of a group of people as averse to racism as to Nazi rule. Their failure, if any, lies in realising too late where the country had been taken by a dictatorial regime that gradually unfolded its true totalitarian and anti-Semitic nature, and in their guilt at having been unable to live other than by withdrawing into inner emigration. They weighed the alternative of open resistance against their need to survive, and decided on the latter, not least, as one of the artists put it, to enable them to spread the ideas of freedom, equality and peace to future generations. As one who belongs to Temple’s generation, I have reproached my elders for their lack of foresight and reason as much as for their cowardice, but I gradually learned of people who had behaved in a similar way to most of the Ateliergemeinschaft artists; and yet, with others of my generation we hardly dared refer to them (and to those who had helped Jews to survive) lest this sounded like an easy excuse, to be interpreted as relativising or even minimising our guilt and the atrocities committed by so many of our countrymen. Only in recent years, and with a generation historically removed from the past, has a more differentiating approach been developed. It is to Temple’s credit as a non-German fiction writer and historian that he has confronted a dilemma deeply disturbing to so many of our generation and reached ‘the end of [his] journey of understanding, acceptance and reconciliation’ (443). By contrast, Jones’s woman in Berlin is an illegal migrant from North Africa who has found her way to the city to search for her son that her lover – an African-American-German – had abducted more than three years before from a hotel where she had worked and met him. Having been helped to find out his address, she makes arrangements with him to see her boy, though only irregularly and for just one hour each time. Moreover, she is made to pay for this ‘favour’, which forces her to borrow money from, and pawn the belongings of, the blind man she works for as a domestic aide and carer. 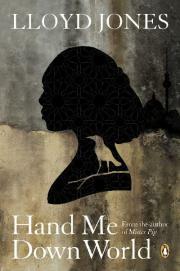 The reader first comes to know Ines — a pseudonym that she has adopted — through the eyes of people who had met her when she lived in Africa, during her journey through Italy, and in Berlin. Thereafter she talks about her experiences from a prison cell in Italy, and here we face a very different person from the one described by others. To them she had appeared a woman difficult to place, a taciturn person who often did not, or did not want to, understand their language, or who was plainly unwilling to share her thoughts and feelings with them – as long as they had not found out more about her. Yet through her own story we come to know an extremely articulate speaker who is intelligent, who has much foresight and, depending on the occasion, is adaptable and capable, and a schemer in her near-obsessive desire to be reunited with her child. Who should the reader believe? And who should the Police Inspector believe, while re-tracing her trail? My own response to Jones’s novel is one of perplexity about many aspects. The multi-voiced narrative rarely draws me in mentally or emotionally, which is due mainly to the disconcerting medley of stories told by various characters whose importance to the main plot seems at times too slight — e.g. Ralph’s, the Inspector’s or Abebi’s — and at others too weighty — especially Defoe’s — whose narrative takes up a fifth of the novel. I also can’t cope with a plot filled with so many improbabilities: Ines, hardly a swimmer, dog-paddles from a buoy to a beach in Sicily for more than a day and a night. She encounters only trusting, selfless and helpful people, while never for a moment facing the danger of being discovered, let alone arrested, as a highly visible illegal migrant in Italy with its overflow of newcomers from Africa. Also hardly believable is the sequence of lucky circumstances that enable her to easily shoulder the physically strenuous journey of several hundred kilometres from Sicily to the Italian mainland, and on foot across the Alps into Austria. Finally, there’s Berlin, which is presented as a city of trains, stations, bridges and a zoo. Ines’s world is crowded with beggars and alcoholics hanging out at the suburban stations, and with homeless people, the down-and-outs, some of whom have found a temporary abode in an empty warehouse. Almost all of them prove harmless, many are kind and helpful. There is just the odd bad person, especially Jermayne, the boy’s father who stole her away from him, whose relentless badness sticks out like a sore thumb. Certainly, all these people including Ines, are meant to be presented to us as living in a ‘hand-me-down world’, but Jones’s tale, in spite of its stylistic breadth and deliberate structural composition, fails to invoke my empathy for its people’s fate as presented in its pages. Instead I read it as a melodramatic mélange of characters, events and locations that does not really grasp the dramatic, even tragic, destiny of North African migrants risking their lives to escape to Southern Europe. DIETER RIEMENSCHNEIDER was formerly Professor of English Language Literatures at the University of Frankfurt (1972–99); he has written widely on Indian, African, Maori and Australian-Aboriginal-literatures-in-English. More recent books include The Indian Novel in English: Its Critical Discourse 1934–2004 (2005), and Wildes Licht (a bilingual anthology of Aotearoa New Zealand poetry) (2010).